Welcome to Mountain Brook. This seasoned 3-story home offers extra space at an affordable price. No matter the season, kids will love exploring the trees and streams in the spacious yard. Adults will enjoy the cozy fireplace and the "easy to visit" atmosphere of the kitchen, living and dining room. 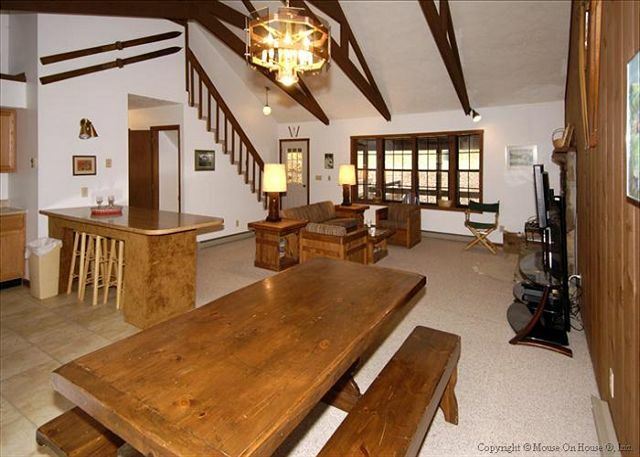 Send the kids downstairs for a movie in the extra family room and listen to the quiet only the mountains can provide. Mountain Brook provides cable TV and WIFI with every rental. Well-behaved canines are welcome to join in on the fun for a nominal fee. Every season will provide privacy and scenery...winter visits will require 4 or all wheel drive vehicles. I realize this is a seasonal home, however, I felt that the silerware drawer could have been a bit cleaner, dead spides and bugs in it. also cobwebs around most of the windows and the porches could have been swept before our arrival. A little bit of clean up would have been nice, you were aware of our arrival date. We left it in much better shape than when we arrived. The overall cleanliness of the basic area was ok. A half hr of loving care prior to our arrival would have made the stay bettr.We cleaned every dish, every piece of silverware and cloroxed every windowsill. Perhaps if we come back next year tothe same home, I could request a quick onceover before we arrive. Thank you for allowing me to send this review. The place was clean, had plenty of room, and was very functional for our stay. The property inside did seem a bit dated but was well taken care of. Overall we would return if we visited the area again. This was a very place to stay.The location was close to the place we went to and my family enjoyed staying at this property.Will try to rent this property the next time we vacation in this area. We had great time at Mtn Brook! 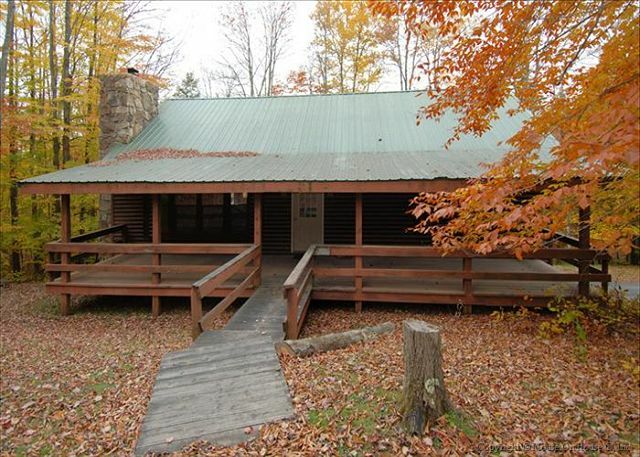 It had the true feel of a mountain cabin with the warmth and atmosphere. It was big enough to accommodate 7 adults and 3 kids with minimal sleep disruption! The group of ski patrollers found it to be easy access to the slopes. Overall, we would keep this same place next year! This was a fine place to stay, although not as "homey" as other vacation homes we have rented at Timberline in the past. The unexpected snowfall was a special treat! It was just enough --and not too much-- to allow us to do a rare snow hike up in Dolly Sods. As usual, we got fine service and will continue to come back to Best of Canaan whenever we visit one of our favorite places on the East Coast. We really enjoyed the colors of fall and all there is to do outside, Black Water Falls, Seneca Rock, Wildlife Refuge,etc. This property was built strictly for rental (sparsely appointed). Definitely take a mattress topper or air mattress because the 2 queens are thin mattresses on plywood and the singles are less than comfortable. Also plan and take the ingredients for your meals because the closest grocery store is approx. 15 miles away. We stayed here during a mini-family reunion. It was booked last minute so we were unsure of what to expect. 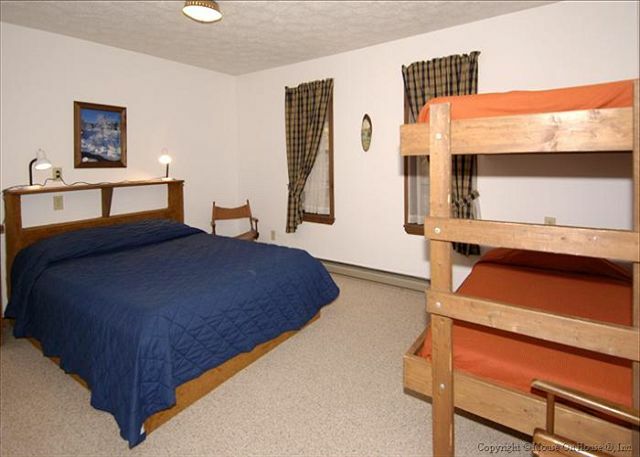 The cabin was very spacious with plenty of sleeping areas as well as clean. Loved the peaceful location near the ski lift, although we came in the summer it was still nice. A gas grill would have been nice to have, the simple charcoal one was kinda cheap. And additional seating in the main living area would be helpful - the furniture only seats 5 (odd considering how many the cabin sleeps! ), so we had to bring in camp chairs. The biggest disappointment was the lack of air conditioning. The only thing in the cabin to help cool it is the living room fan. There were not even any box fans or standing fans. Our room was so hot and humid, as were the others except for the basement room, and no one slept very well the whole trip (although the bed was just fine as far as comfort goes). We would stay in this area again, but would get a different cabin if we came in the summer. My family and I really enjoyed this home. Close to the slopes at Timberline. Easy access to the home during bad weather. Plenty of room for large groups and nice ammenities. Could use a set of ski racks in the entry but other than that we had no complaints.